Firefighters remain on the scene at Braeview Academy this morning after a major fire last night. Firefighters were called to Braeview Academy last night at around 9pm with reports of flames reaching 40ft in the air. Video taken by Tele reporter Jon Brady this morning shows windows smashed and a damaged exterior of the school. 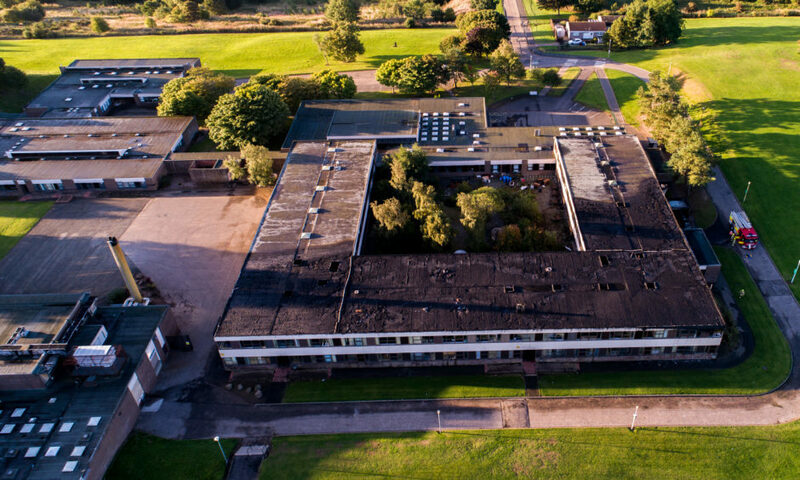 Local licensed drone company Rising View has also shared images showing major damage to one section of the Dundee school. The images also show how firefighters’ efforts in testing windy conditions appear to have restricted the spread of the flames. Dundee City Council has confirmed the school is closed today, and expects to update on future plans later this morning.